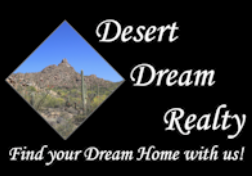 MAKING AN OFFER ON A LENDER OWNED HOME | Desert Dream Realty Cave Creek | 480-252-8300 | Find Your Dream Home with Us! Most lenders already have escrow open at a title company. All banks have addendums your clients need to sign, check the documents section of the mls website if we have the addendums early they will be there. NOTE: Do not fill them out, they are just there for your review. ALL banks will fill out the addendum once agreed terms have been met. Most homes are sold AS IS, please explain to your clients what that means. Please call with any questions, we are always happy to answer them! Lender owned homes require a pre-qual letter to be submitted with all offers. Please keep in mind that we can not submit your offer without an pre-qual if the bank requires it. Keep in mind this is your opportunity to speak directly with the bank!! Please go to the link corresponding to your lender for information. Please note that these addendums are for you to review only.